NEW BRITAIN - A Bristol man will spend three years in prison after a day in New Britain Superior Court in which a judge said the defendant had gone “off the rails” when he robbed a liquor store, stole two cars and broke into a home. Jared Allen Stinney, 21, was sentenced Tuesday to 12 years in prison, suspended after three years, with three years probation after pleading guilty to first-degree robbery, third-degree burglary and third-degree larceny. 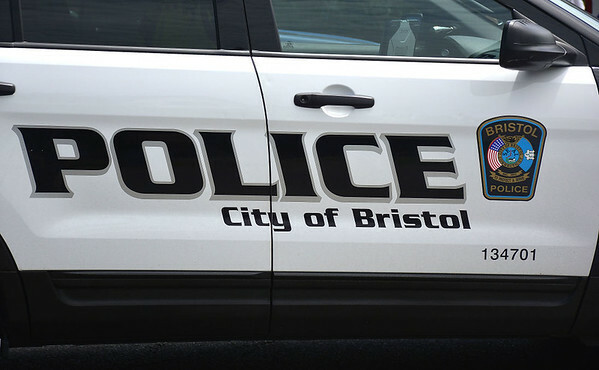 According to the warrant for his arrest, Stinney stole a bottle of liquor from a package store in Plymouth, stole a car from a gas station on West Street in Bristol and stole a car from a residence on Northmont Road in Bristol after entering the home and stealing the car keys. Stinney told police after he committed the crimes he drove to Hartford so he could buy a gun to kill himself, the warrant said. He came forward to police to take responsibility for what he did, the warrant said. His arrest was in May 2018. “I apologize to the victims,” Stinney said in court, after being seen wiping tears from his eyes. He said he never intended for them to feel unsafe and wanted to apologize for any negative feelings they felt. As part of the last statements before Stinney was sentenced, public defender Christopher Eddy said Stinney was a very depressed person coping with an addiction to Xanax, which is known to have a psychosis effect on people. Considering his lack of prior criminal history and his age, Stinney should be receiving a good upbringing and support from his family, who can monitor him in the community, Eddy said. Stinney’s father spoke at the sentencing, saying Stinney is trying to turn his life around. Stinney’s brother also spoke on his behalf. As part of his probation terms and requested by prosecutor Rob Mullins, Stinney was ordered to substance abuse evaluation and treatment, including an inpatient program if necessary, and to seek full-time employment, participate in some form of training or complete 20 hours of community service. He is to also have no contact with the victims and stay out of the package store. He is eligible for risk reduction credits and could get parole before probation, the judge said. Posted in The Bristol Press, Bristol, Plymouth on Monday, 11 February 2019 20:48. Updated: Monday, 11 February 2019 20:50.